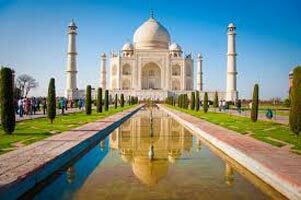 We offer Agra 1Night/2Days tour package from Delhi. The city is around 210 km from the capital of nation and you can choose any option for transport Carl, tempo traveler and coach bus. Agra city is famous for beautiful tomb, Maugham-Era-Building (Taj Mahal) and beautiful garden. Tomb of Akbar, Agra Forts, Fatehpur Sikri etc. Agra city was the capital of India in Mughal Era. Agra city is most popular Tourist Destination in the world and famous for its Architecture. Taj Mahal is most popular Tomb of Agra and in all monuments. Taj Mahal is a Mughal era immense mausoleum and built by order of Emperor Shah Jahan in memory of his beloved wife Mumtaj Begam. The Taj is constructed totally in white marble. It took 20years to construct. 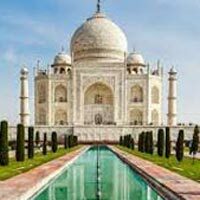 Taj Mahal is one of seven wonder of world and every person want to come Agra for seeing the Taj from every part of World. The city is most popular city of Uttar Pradesh for Mughal Era Monuments, Beautiful Garden, Forts and museum and third biggest city of State. Agra is about 200 km southeast from Delhi capital of India. If you are planning Agra tour by taxi from Delhi Agra then you will reach about 3-4 hrs. Agra is one of point of Golden Triangle. 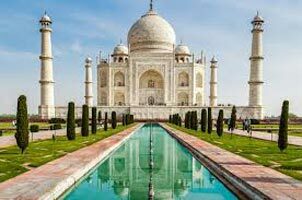 You can make your stay in Agra in high standard hotel and resort and enjoy your trip.Any portage at hotels, tips, insurance, mineral water, telephone charges, laundry and all items of personal nature. Any additional meals / en route meals,sightseeing and activities other than those mentioned in the itinerary. Entrance fee to monuments and charges for Battery operated carts/vehicles at TAJ MAHAL and FATEHPUR SIKRI are not included in package price. Fare of Battery operated cart/Bus fee at Taj Mahal and Fatehpur Sikri. Departure from Delhi in the morning. Arrive at Agra & transfer to hotel (as pre package). Welcome drink on arrival. After check in, tour of Agra Fort, and Tomb of Akbar (Sikandra). Evening at leisure. Overnight at hotel. After Breakfast in hotel tour of Taj Mahal. Return to hotel.Check out and proceed to Fatehpur Sikri. On the way to Fatehpur Sikri (lunch optional). Return to Delhi.